Ready for the weekend, kids? I'm sure many of you are! Hope your week has gone along swimmingly and that you're ready to dive right into your Saturday. (Ignore what I just did there. "Swimmingly"? "Dive"? Ugh. Sorry.) Anyway, happy Friday. This week I was fortunate enough to get the creative juices flowing by participating in a block printing workshop presented by the Seattle West Elm and Urban Craft Uprising. So. Much. Fun! 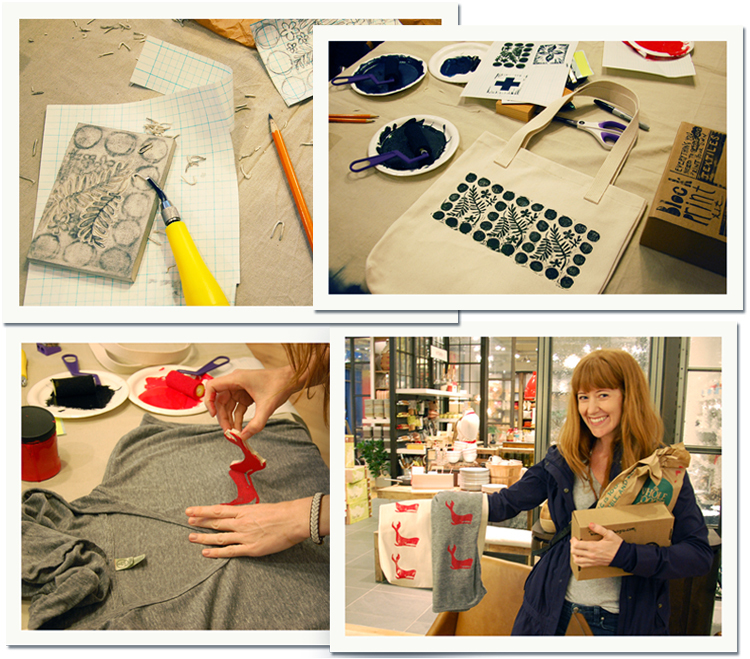 Led by the lovely and talented Phoebe of elSage Designs, a delightful group of us gathered in the middle of the West Elm showroom to learn about block printing on textiles and to give a go at printing up our own tote bag. Phoebe made up some super cute kits with everything we needed to get to sketching, carving, and printing. CLOCKWISE FROM TOP LEFT: SKETCHING AND CARVING MY PRINTING BLOCK, MY FINAL PRINTED TOTE, SOME FINAL NAUTICAL WARES MADE BY MY TABLE MATE RENAE. AND HER CLASSIC WHALE MOTIF IN ACTION. Now, my background is in printmaking (Yeah. I actually have a degree. Surprise, surprise.) but my skills have been laying waaaaay dormant. Much. Too. Long. Phoebe's workshop was just what I needed to clear out the cobwebs and a reminder that all my excuses for not keeping up with my printing were, ultimately, hogwash. Within a couple of hours we were all walking out with our custom printed totes in hand! Easy peasy! I did get a little hung up in the beginning wanting to bust out something super stylish but I let all of that go and decided to just do whatever and have fun. I think our mutual fears of getting ink on anything in the store helped a lot of us let go of whatever design perfectionism we might have been feeling. Such a great, casual, creative time! 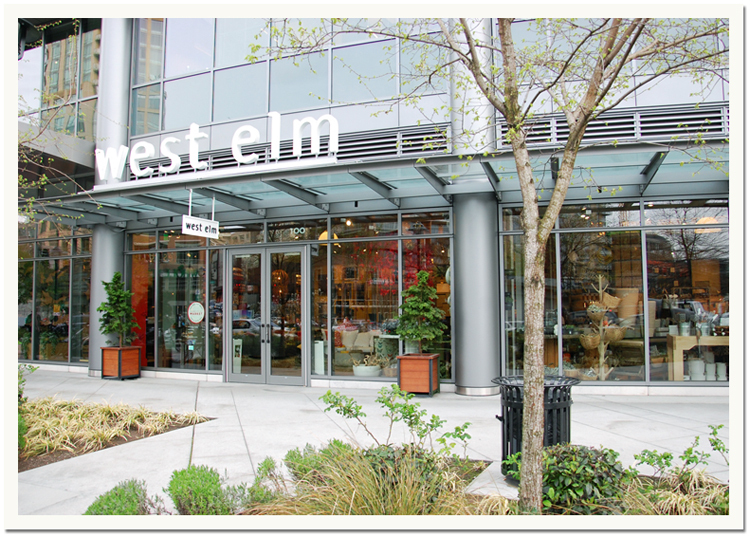 Be sure to check out your local West Elm Facebook page (e.g., "West Elm Seattle") and see what fun stuff may be happening in your area. Up next in Seattle is Entertaining Made Easy with my churros compadre Cassandra from Coco + Kelley which will be a great way to kick off Spring and Summer entertaining season! Ooh, that reminds me! Better take my kaftans to the cleaners for all those upcoming pool parties! What? You were expecting me to say my Speedos? Yeah, none of us want that I can assure you. 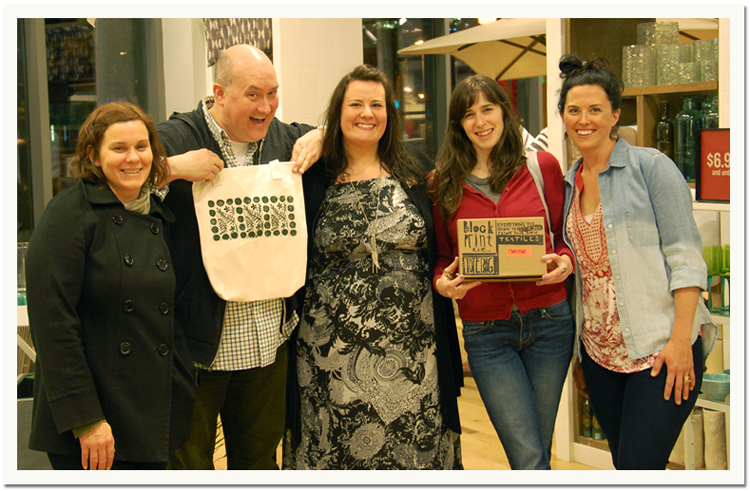 ME WITH SOME OF MY PRINTING BUDDIES AND SABRINA FROM WEST ELM IN THE CENTER. THAT'S PHOEBE, OUR WONDERFUL INSTRUCTOR ON THE FAR RIGHT. 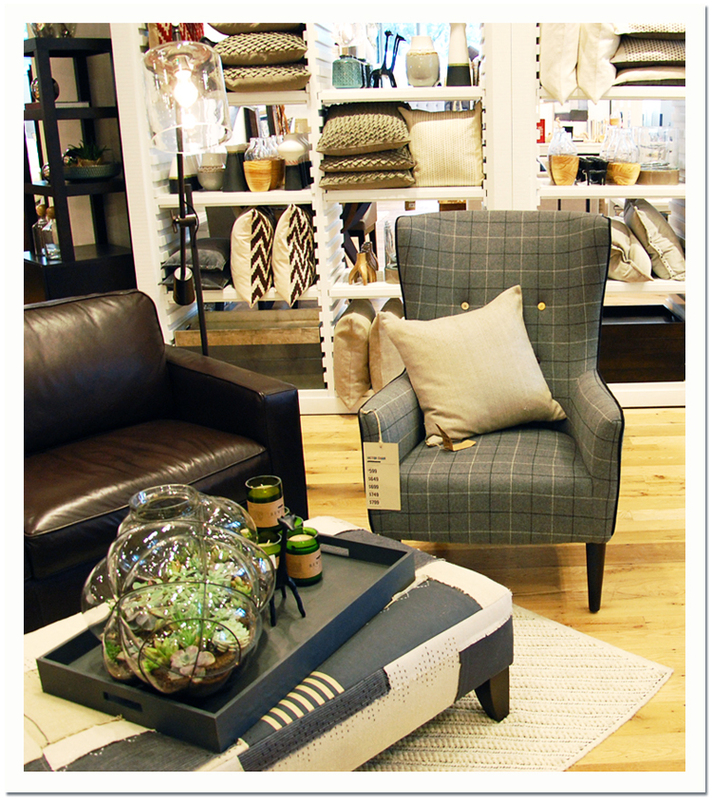 I WILL TELL YOU WHAT, ONE FAVORITE THIS WEEK WAS THE WEST ELM PLAID "VICTOR ARMCHAIR" UP THERE. 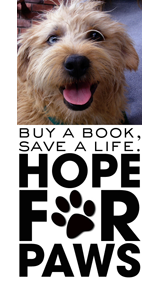 IF THAT PUPPY COULD'VE FIT IN MY TOTE I'D BE WRITING THIS POST FROM THAT CHAIR RIGHT NOW. DELICIOUS! I get that this is tiny but, c'mon, the design of this New York loft apartment is pretty spectacular. This gorgeous looking shop has me thinking I need to stop dreaming of living in San Francisco and switch to Oakland. Um, loving Ez's and Erin's blog redesigns! Papa has to get on the stick and beef things up here on 'The Bedlam'! Tips for being an organized blogger? Yeah, I should totally give that a serious read. Kelly busted out this amazeballs batch o' links for blogging tips and tricks! I think the universe is trying to tell me something. Some great typography tutorials over on FontShop's blog. Once again, Will shows what a natural he is in front of the camera. The boy is bound for the telly, I'm tellin' ya'. Fun stuff Bradford! 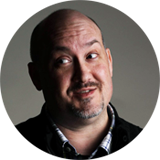 Love the links and the organized blogging leads me to how about I just blog at all?! Oy. Love the prints, sometimes it just takes a little taster to get back into the swing of it - am sure you'll have lots of inspiration to get back to your roots now! Looks like a very fun evening (judging by the look on your face, haha)! Love the prints!